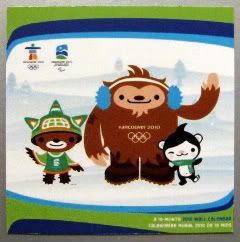 joy magnetism: The Olympics, the ads, and the mascots...sans Mukmuk! So cute! I like Miga the best. And I have to say, I hate the P&G ads. Not the execution; the little Olympians are great. I hate that it centers only on moms. (No offense to moms -- I'm sure they do a lot, and I'm sure many use P&G products.) What are the dads? Chopped liver? Do men never pick up any P&G product anywhere ever? Bah. P&G, you can pull at my heartstrings -- and my wallet strings -- with commercials about dads. That's all I'm sayin. 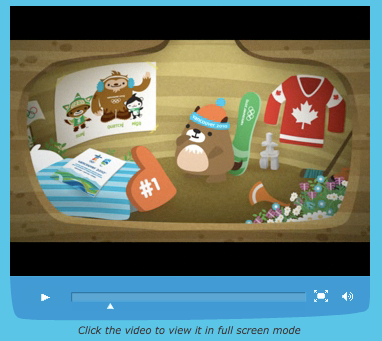 You should watch the videos - the guy who drew Quatchi kinda resembles him! And, yeah, I see your point about the P&G ads. I honestly didn't even see anything wrong with the mom angle, mostly because I have to believe that P&G tested the bejeepers out of the concepts before executing them. Bet Moms tested better than the generic parents or Dads. Heh.